Plump, fleshy and full of flavor. Eat on their own or add to casseroles and salads. Meze finger food and appetizers to savour and share from the Greek mediteranean table. Kalamata olives* | water | sea salt | vinegar. *organically grown and processed. 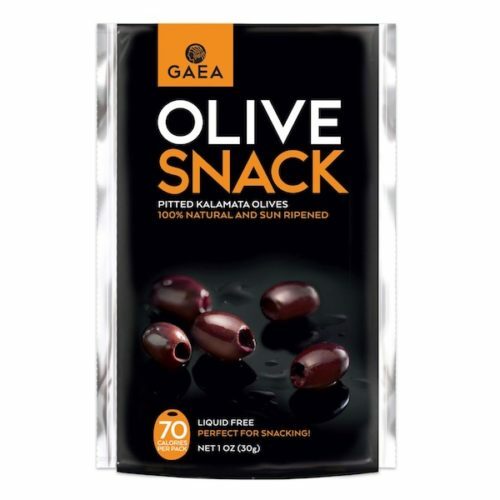 BLACK KALAMATA PITTED OLIVES – Kalamata is one of the most popular varieties of olive. A large, black olive with a meaty texture and a smooth, full-bodied umami flavor. Kalamatas are ultra-rich and satisfying. 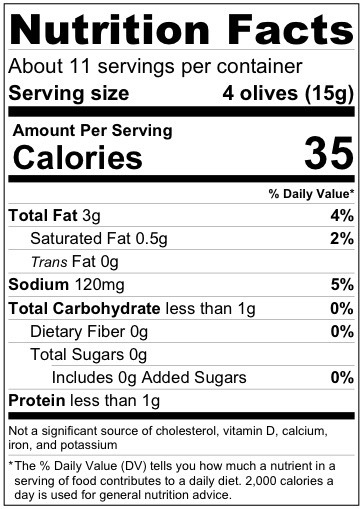 These olives have very little bitterness, tartness, or astringency and have a buttery, smooth taste. HEALTHY DIET – Organic olives are known to be a major component of the The Mediterranean Diet, which supports a healthy heart, body weight, and mind. Healthy fats support mental function and cardiovascular function to provide optimal nutrition. Olives are rich in natural polyphenols and antioxidants. GREAT TASTE – At Gaea, from cultivation to packing, we know the origin and the procedure. 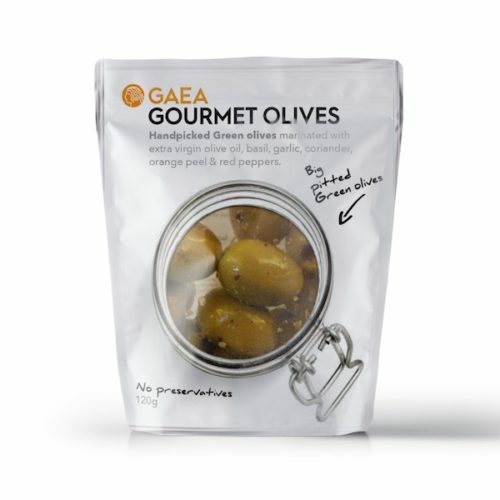 We grown our own olives so we can ensure the highest quality product every time. 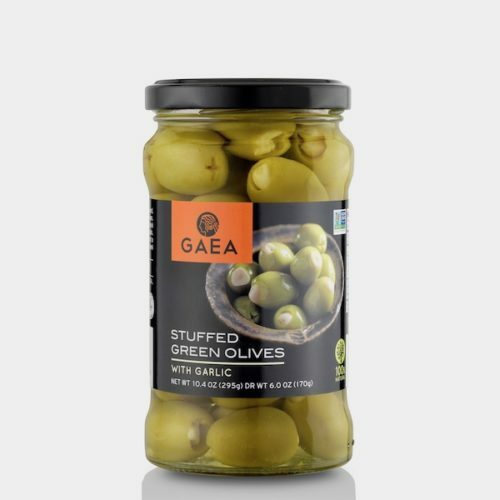 These delicious full-bodied olives come from the Kalamata region and are known for their smooth, full flavor and meaty texture. Enjoy a snack that’s as good for your waistline and your body as it is for your tastebuds! FITS YOUR LIFESTYLE – Whatever your dietary needs, we have you covered. 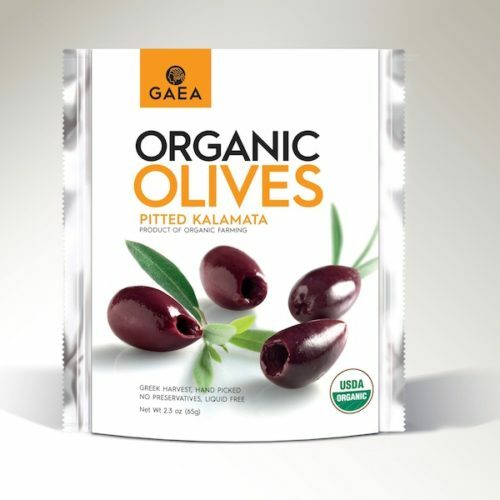 Delicious flavor and optimal health made simple with heathy, plant-based, organic ingredients, Our olives are: Organic, GMO-Free, Gluten-Free, Wheat-Free, Nut-Free, Dairy-Free, & Vegan. A perfect low-calorie snack that fits your lifestyle. HARVESTED RIPE – Our olives are ripened on the tree before we harvest. The highest quality flavor comes from mature olives that are allowed to develop and soak up the sun. In addition, fully mature olives contain more polyphenols and antioxidants that provide nourishment and health benefits. Tastes good and feels good! 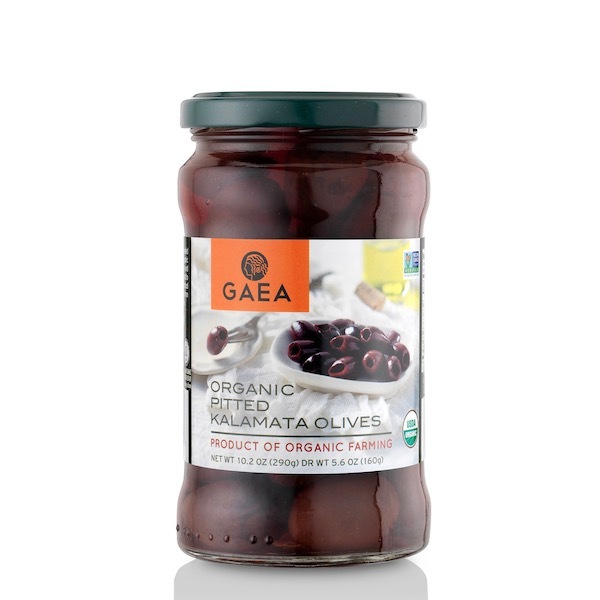 GAEA Organic Pitted Kalamata Olives are handpicked from our own grove of cultivated trees in the famous Kalamata region. Sun-ripened, their color depends on the exposure to the sun’s rays while on the tree, but they’re always plump, fleshy, and full of flavor. Olives are a healthy, natural snack that provides essential nutrients like dietary fiber, copper, vitamin E, polyphenols, and monounsaturated fatty acids. 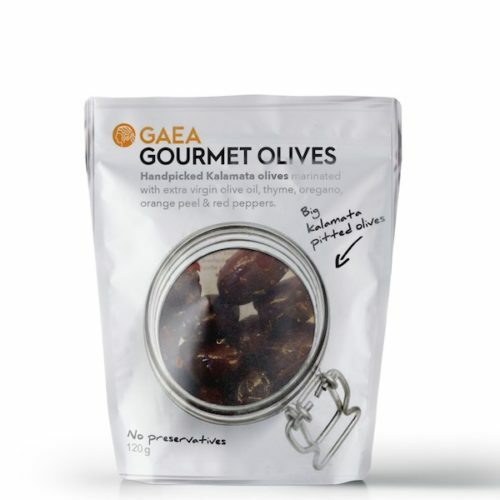 These olives are perfect for salads, snacks, or munching on-the-go. Plus, they are versatile enough that you can grab them when you’re in a rush and have a healthy snack for later in the day. Great straight out of the jar or added to salads, antipasto, sauces, casseroles, and any other place where you want to kick the flavor up a notch. Meze are finger food. These olives are appetizers great just as they are that you can savor alone and share. We love to share our passion for the traditions of the Greek Mediterranean table.